Are you an artist, creative, technologist, scientist, engineer, or perhaps a combination of all these things?! Do you like to or want to share your passion with others? 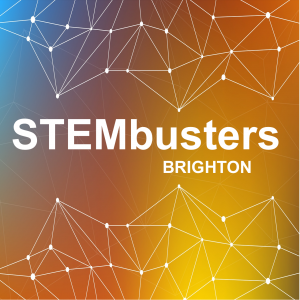 STEMbusters is a monthly, informal social meet-up group for those involved with STEM/STEAM communication, outreach and public engagement activities in Brighton & Hove and the wider Sussex region. (STEAM = Science, Technology, Engineering, Arts & Maths). We meet once a month at Loading Bar (formerly C:/Side Quest) on Brighton seafront to discuss ideas and what’s going on locally with STEM/STEAM events. Feel free to talk about and/or bring along any projects you are working on; previously we have had a play with squishy circuits, fabric origami, remote-controlled mini-drones, micro:bits, science card games and more! Drop in anytime from 7.30pm onwards, we’ll be at one of the big tables. STEMbusters is run by Katy Petherick and Jacqueline Currie – please get in touch if you have any questions at all! Loading Bar (formerly C:\Side Quest) is located on the lower beach promenade between the zip-wire and pier and is fully wheelchair accessible. Coffee, bar & food available.